For information about the Officers and Staff of the American Hemerocallis Society, select the category of your choice or scroll through this document. Endowments Committee: Kathleen Schloeder (VA), Chair; John Falck (AL); Ed Herringshaw (LA); Ottis Houston (FL); William C. “Bill” Monroe (LA); Laurel Richardson (IN); Marcia Zech (WA). Registration Name Review Committee: Gary Rieben (UT), Chair; Elizabeth Trotter (KY); Gail Korn (NE); Lanny Morry (ONT, Canada); Melanie Mason (NY); Kevin Walek (VA); Maureen Strong (ONT, Canada); Melodye Campbell (NY); and Michael Bouman (MO. We'll change these for you, so you can use the same address when someone new takes over a postion or adds a new job to their appointed tasks. Return to the AHS Home Page. 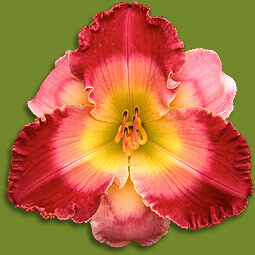 © Copyright 2012-2018 by the American Hemerocallis Society, Inc.